You configure once and then magic occurs ; everything becomes automatic ! 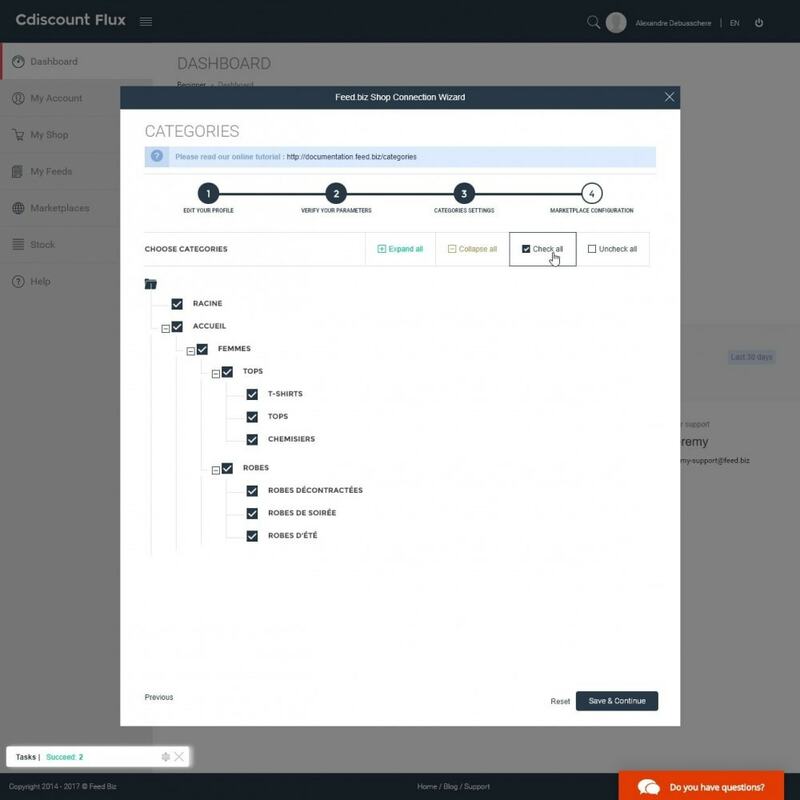 This means that you no longer need to connect to multiple back-offices, you manage everything from Prestashop. 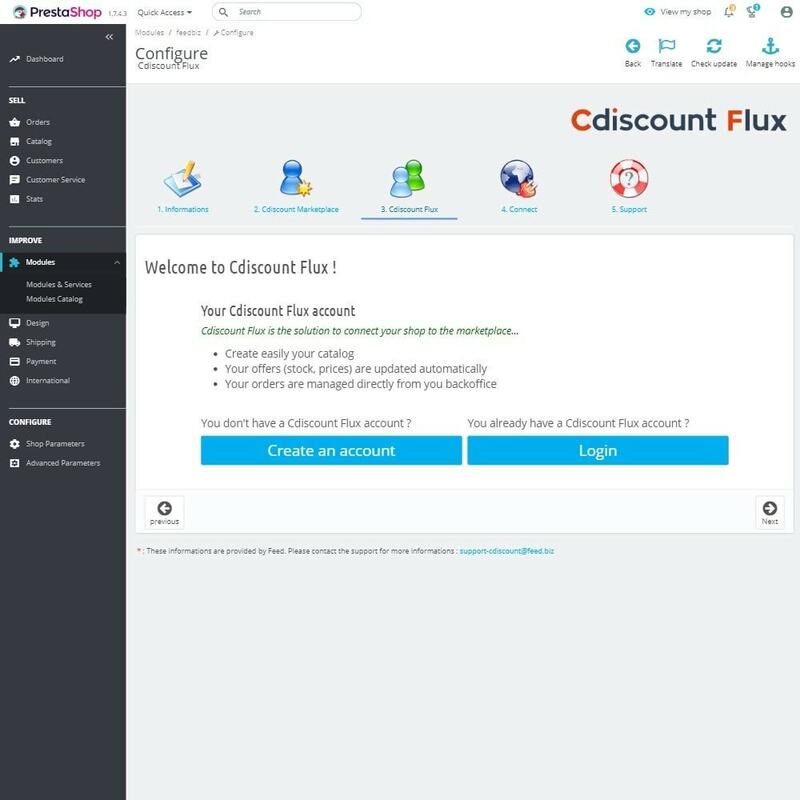 Cdiscount Flux is a cloud-based, self-contained solution that enables you to automate the management of catalog, orders, order tracking. 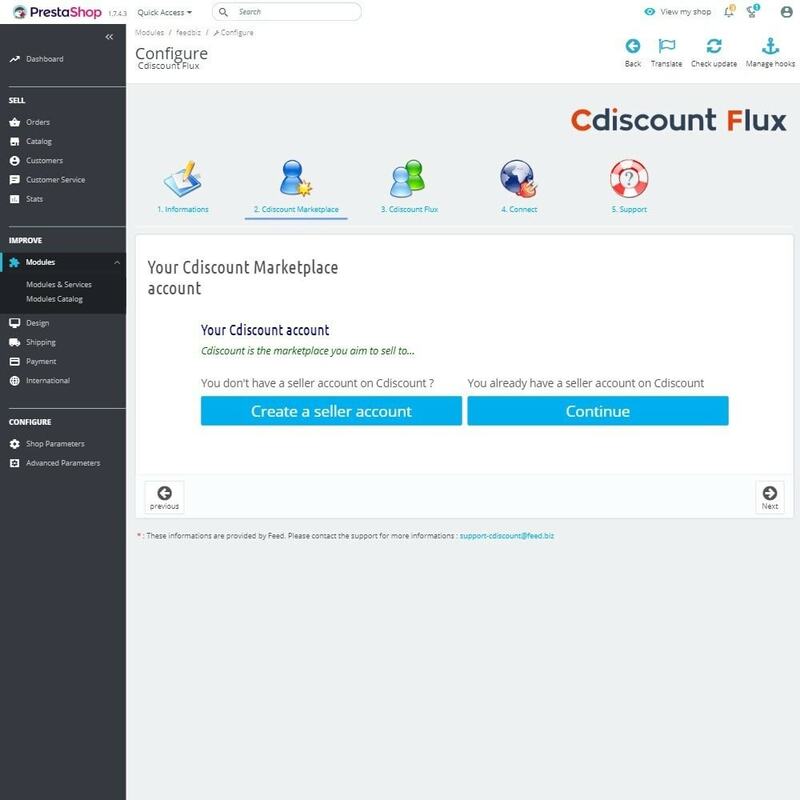 You no longer have to worry about inventory updates, new product creations, Cdiscount Flux automatically manages feeds to and from Cdiscount marketplace. Cdiscount Flux automatically imports your orders into Prestashop, updates quantities, prices, manages repricing, invoice sendings and many other features. 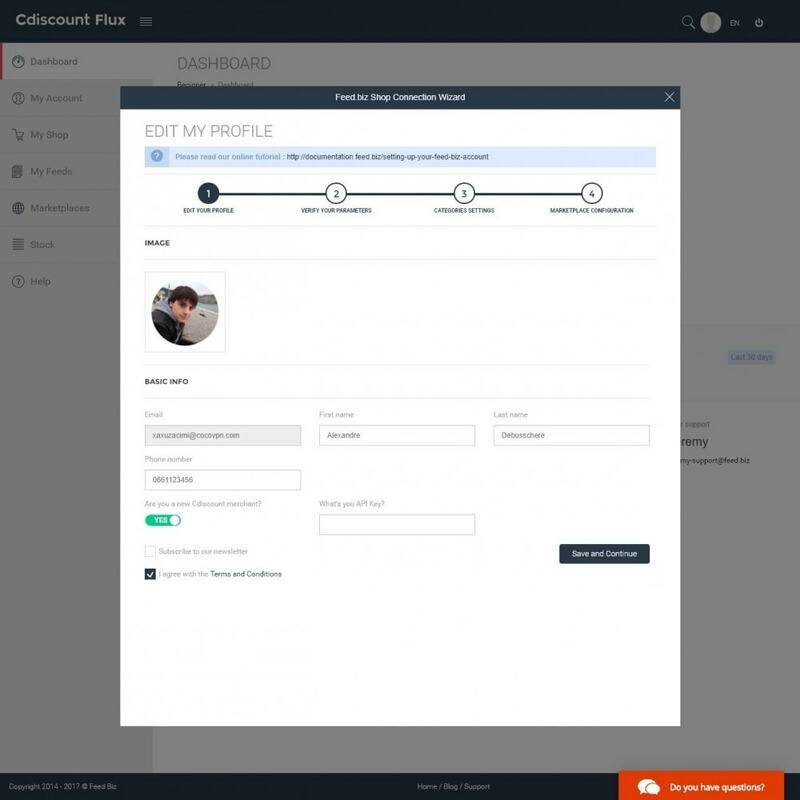 Cdiscount Flux is not a feed integrator or aggregator but a cloud solution that allows you to manage your own feeds. 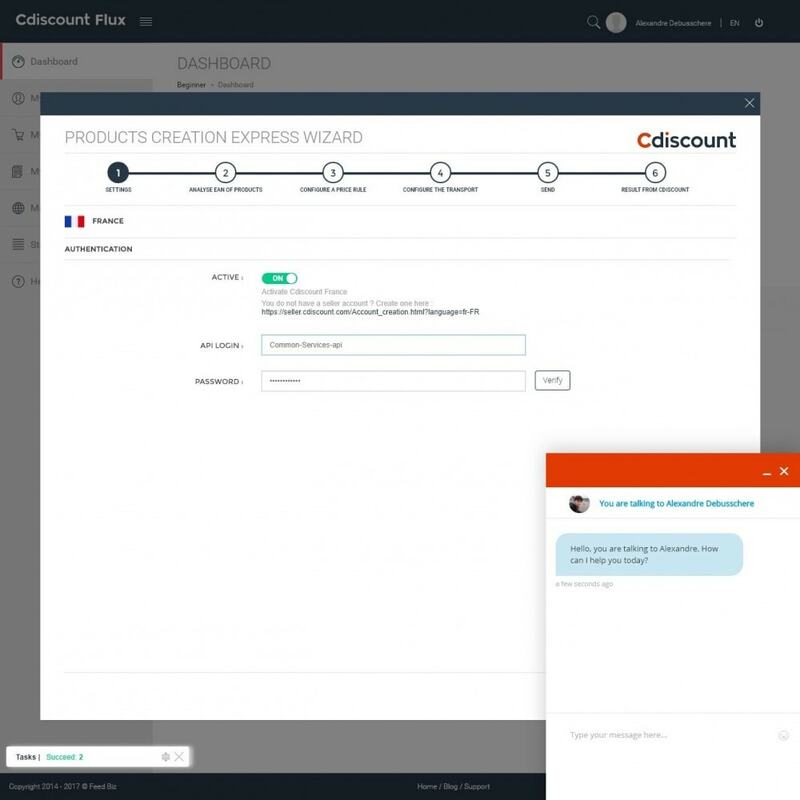 You boost your sales thanks to the traffic and sales generated by Cdiscount and Cdiscount Flux automatically manages the entire sales process and listing. You benefit from all features offered by Cdiscount, free 4 times payment handled by Cdiscount, multiple delivery methods (home delivery and collection point), repricing (price adjustment) and more. The support is reactive and free, 5 agents are permanently at your disposal to answer your questions. You create an account on the Cdiscount marketplace : click on the blue button on this page ! You install the module with a single click ! Automatic price adjustment, invoice sending, support for withdrawal points etc. To get benefit of the free module you should not already be a Cdiscount seller. We strongly recommend the use of a hosting recommended by Prestashop for optimal operation of the module. The choice of such a hosting guarantees the correct functioning of the module and optimal support if necessary.